2017 Ram Rebel Factory Performance is absolutely #BeastMode. Striving to take your truck experience to the next level? Ram has evolved the all new 2017 Ram Rebel to give you the ultimate driving experience. Whether you’re on the highway or an unpaved back country road, the 2017 Ram Rebel has been constructed with Class-Exclusive Standard Active-Level Four-Corner Air Suspension. Giving you that added comfort for those unforeseen bumps in your path. Oh, and let’s not forget, the Rebel has an off-road ground clearance of 9.3 inches (Front Axle). Let’s take a closer look into the performance of the Ram Rebel. The 2017 Ram 1500 Rebel Crew Crab 4×4 with a 5’7″ box comes standard with 305 horsepower, automatic 8 speed transmission. It has 7,130 towing (lbs) and gets 16 city / 23 hwy miles per gallon (mpg). Along with the towing and transmission, the all new 2017 Ram Rebel, has an available 4-corner air suspension. The Ram Rebel also has a front & rear stabilizer bar. Complete with anti-spin differential rear axle and a 3.92 rear axle ration. Also available is an off-road truck package. Furthermore, the Engine itself, on the 2017 Ram Rebel, is a 3.6-Liter V6 24-Valve VVT engine. In addition, it puts out a solid performance when it comes to horse power with a rated RPM of: 6400, 269 ft/lbs of torque and 4175 torque rated RPM. As a result, all this power in such a fine looking machine really gives you that added motivation to play outside the lines. Make this summer a memorable summer with your new Ram Rebel. All-in-all, the 2017 Ram Rebel isn’t just your average truck. Perhaps it would be just to compare the Ram Rebel to that of a caged beast ready to break free. It’s sleek design allows you to feel confident when you’re at the wheel. Simply revving the engine is a thrill in-and-of it’s own. 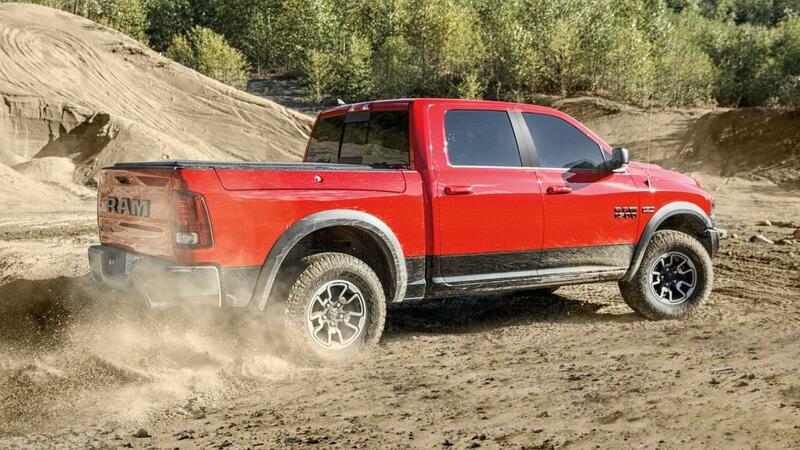 So if you’re ready to step into the wild side, come over to Sorg Dodge – Goshen, IN and check out the all new Ram Rebel. Contact us today to schedule a test drive. Still have questions? We have an excellent team of product specialists ready to answer any questions you may have on the Ram Rebel. In the mean time, check out our website: www.sorgdodge.com for all updates on: new vehicles, used vehicles, leases, rebates and incentives.